Supreme Court Declares Musharraf’s Nov. 3 Emergency Illegal: What Does That Mean? In a highly anticipated and awaited verdict, the Pakistan Supreme Court just declared the steps taken by then President Gen. Pervez Musharraf illegal. 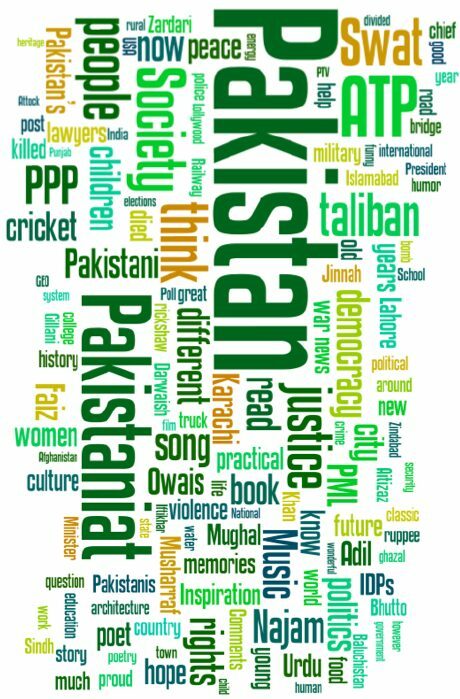 The details of the decision read out by Chief Justice Iftikhar Chaudhry are still filtering in and the implications of the decision are still not fully clear. I am still grappling with what this will actually mean in implementation and would love to hear from you what you think it will mean? It is clear from the judgment that this does NOT change the legality of the current government or of the oath taken by President Zardari. But will it effect only the judiciary decisions (judges and how many) or does it have farther reaching impacts. My sense is, it will. But I am not fully clear just yet what these will be, and how. With this decision, it seems the Supreme Court and Chief Justice are back in the news big time and maybe more than just the rhetoric will heat up! The Supreme Court of Pakistan Friday declared the steps taken on November 3, 2007 by former president Pervez Musharraf as unconstitutional. 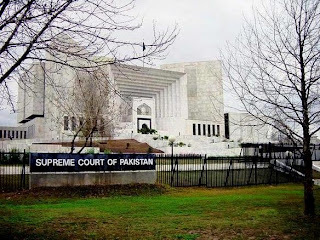 The judgment came after the 14-judge larger bench headed by Chief Justice of Pakistan Justice Iftikhar Muhammed Chaudhry completed the hearing of constitutional petitions regarding PCO judges, appointments of judges of higher judiciary and November 3, 2007 steps. The Supreme Court in its short verdict declared the steps of November 3, 2007 taken by former president Pervez Musharraf as unconstitutional. Article 279 of the Constitution was violated on November 3, 2007, it said. It termed as illegal and unconstitutional the sacking of Chief Justice Iftikhar Muhammad Chaudhry and the other higher judiciary as well as the appointment of Justice Abdul Hamid Dogar as chief justice. The oath taken by President Asif Ali Zardari will not be affected by the SC verdict, is said. All the appointments made in the higher judiciary of Justice Abdul Hamid Dogar have been termed illegal. It termed as unconstitutional all the appointments of judges during November 3, 2007 to March 24, 2008. It said the strength of Supreme Court judges will remain 17. It declared unconstitutional all the steps taken by Pervez Musharraf during November 3, 2007 to December 15, 2007 including the increasing of number of superior judges through finance bill. Chief Justice Iftikhar Muhammad Chaudhry announced the verdict. The verdict said all the appointments of judges on and after November 3, 2007 under PCO were unconstitutional. The case of PCO judges will be referred to the Supreme Judicial Council, it said. The announcement of todayâ€™s verdict sent a wave of jubilation outside the Supreme Court and at all the bar associations. Sweets are being distributed as people and lawyers are chanting slogans in support of the judiciary. The 14-judge larger bench headed by Chief Justice of Pakistan Justice Iftikhar Muhammed Chaudhry reserved the judgment after completing the hearing of the case and announced it after a delay of over four and a half hour. Mr. Naeem Bokhari is indeed a brilliant lawyer and he would always be respected for his bold stand against rude, crude, uncouth, discourteous and protocol hungry Chief Justice of Pakistan namely Iftikhar Muhammad Chaudhry. Unfortunately an equally brilliant lawyer Aitzaz Ahsan made a hero out of Iftikhar Chaudhry by orchestrating a stage drama of lawyers movement inorder to gain political ground against Musharraf while settling his scores with Asif Zardari who had sidelined talented Aitzaz. It is high time that Aitzaz Ahsan should be given an important position in Pakistan Peoples Party as early as possible lest he succeeds in picking another hero from the jurassic park of violent community of lawyers created by the Americans to destabilize Pakistan for its eventual denuclearization. Our nation has great expectations from Mr. Naeem Bokhari and it seems that he will succeed in bringing about the removal of Iftikhar Chaudhry from the office of Chief Justice of Pakistan for the third and final time through his daring advocacy skills in PCO Judges contempt case. Keep it up Mr. Naeem Bokhari. May Allah be with you. And they schemed, and Allah schemed (against them): and Allah is the best of schemers. The above verse of Surah Âl ‘Imran (3:54) very aptly explains the fate of the schemers. Surely all such schemers shall soon meet their doom and Chief Justice Iftikhar Chaudhry and his collaborators shall be no exception. The decision was a good one. Now lets accept it and get on with life. please. Chief Justice Case: Is Something About To Happen?